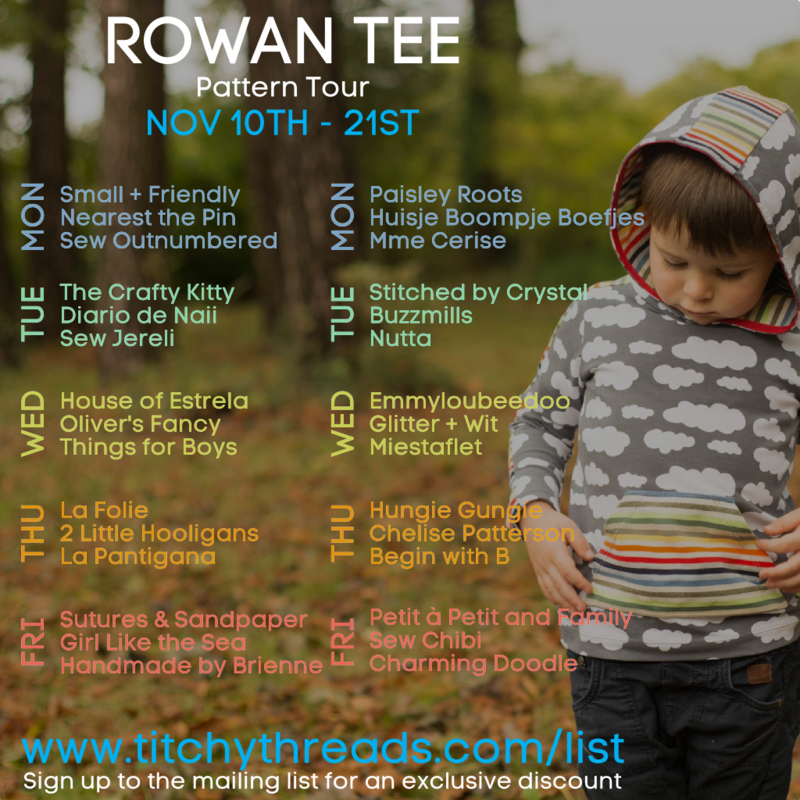 Today I’m thrilled to be helping Laura from Titchy Threads kick off her two week Rowan tee pattern tour!! 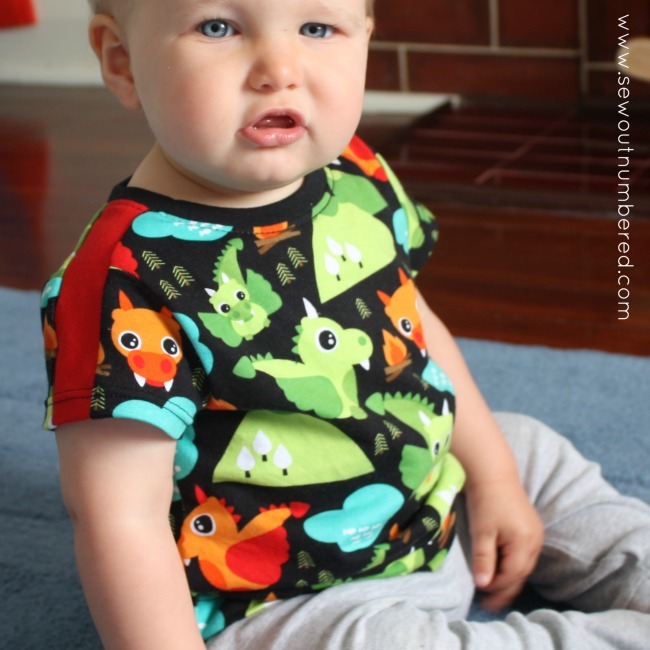 Laura has a growing range of boys patterns and if you hadn’t already figured I’m a BIG fan! 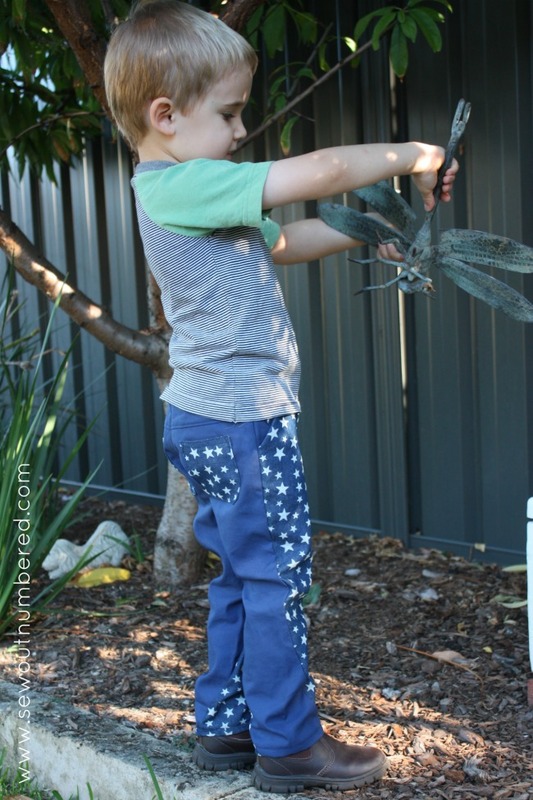 I recently showed you my first two Rowans (HERE and HERE) but in the past year I’ve also sewn up two Twisted Tanks, two pairs of Skinny Jeans and a pair of Fancy Pants Leggings. This tour was the perfect opportunity to whip up another Rowan but this time for my Mr Little. 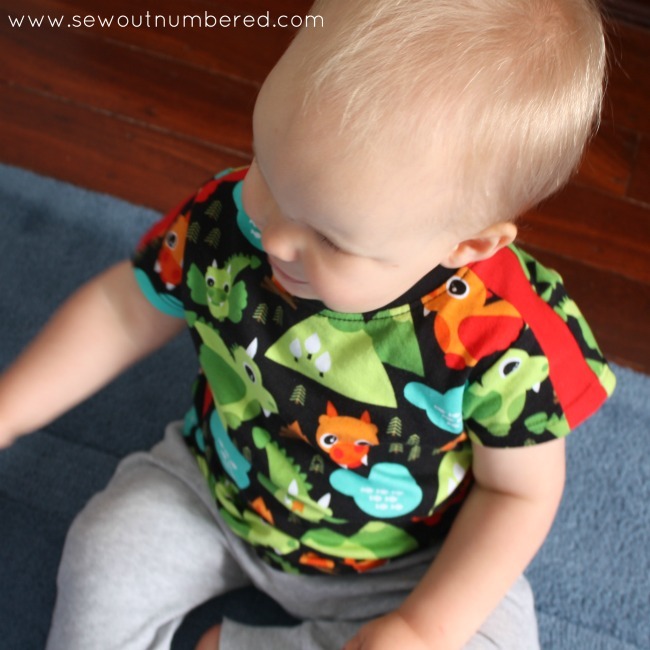 A big thanks goes out to those of you who helped me choose which fabric to use last week. After posting on Facebook and Instagram, the decision was unanimous – this gem of a knit fabric “Puff Dragon” (sourced from Wickedly Woven). 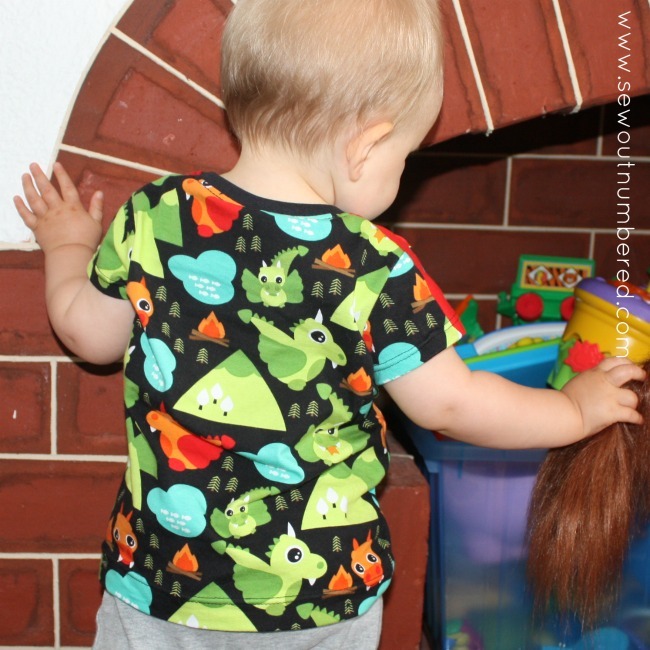 Then onto which pattern options to choose! There are 144 variations so it took a bit of narrowing down but given we’re heading into summer, short sleeves were a must. I also wanted to show off the super cute fabric as much as possible so I stayed away from pockets and just went with the full length shoulder and arm stripe. Turns out this is variation number 55. One last thanks to Laura for having me as a pattern tester and along on the tour. I can’t wait to check out everyone’s versions over the next two weeks. 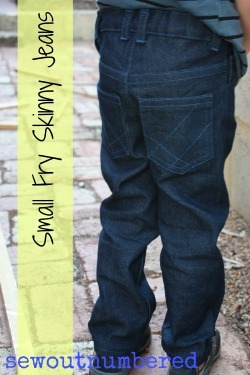 There’s also a discount available for the pattern so if you haven’t picked up your copy yet now is a great time! 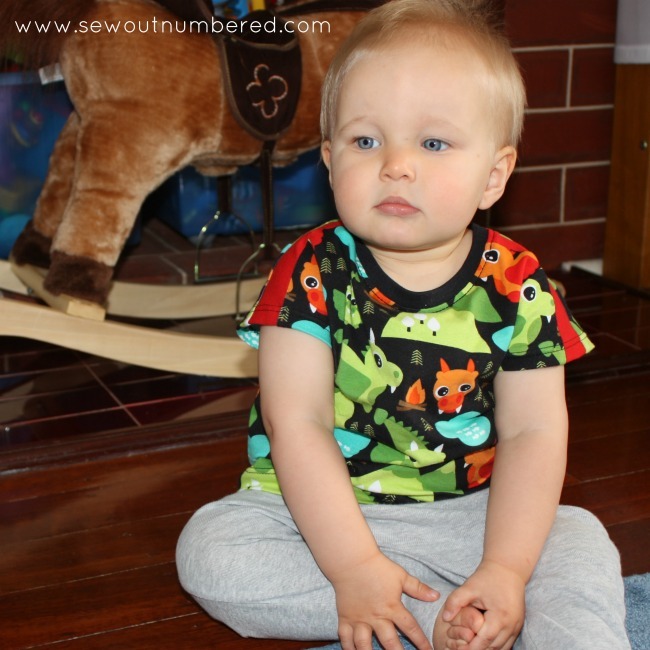 Love sewing for yourself and the boys in your life too? I’d love you to follow along by signing up for the weekly post roundup. 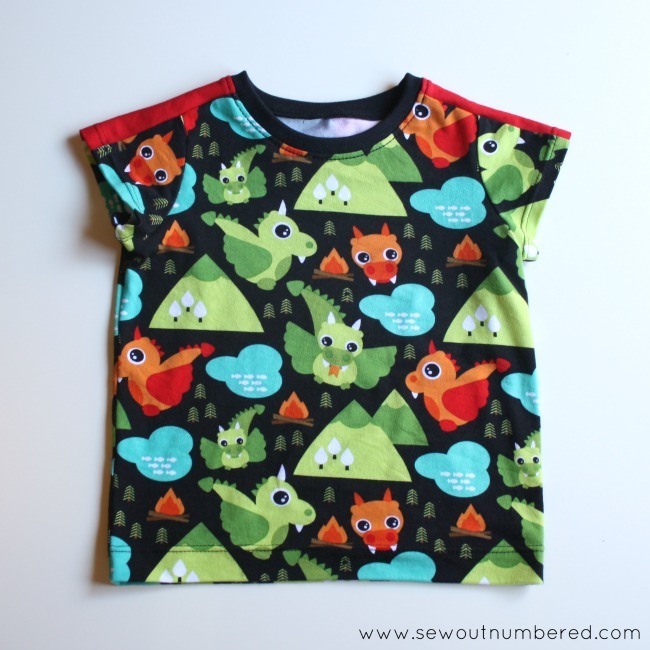 Some of my favourite ever sews are coming up in the next couple of weeks and I can’t WAIT to share them! 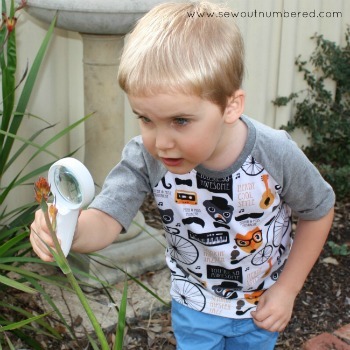 Hope to catch you later this week for more boy sewing fun when I join Boy, Oh Boy, Oh Boy for the Mother-Son Sewing Series.